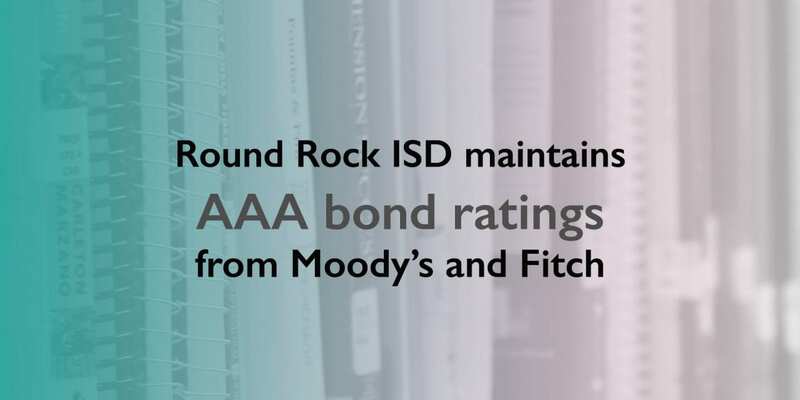 Round Rock ISD is the only school district in the state of Texas to earn a AAA rating from both Moody’s and Fitch credit rating agencies, following the latest bond rating upgrade. The District has maintained its AAA bond rating from both organizations since 2015 and has been rated AAA by Moody’s since 2010. Round Rock ISD remains the only district in the state to earn the highest possible bond rating from both of the premier credit rating agencies. According to Moody’s, the AAA rating reflects the District’s vibrant local economy and tax base which continues to grow rapidly, well-managed financial operations, solid financial reserves, healthy resident wealth and income profile and a growing enrollment base. The rating also incorporates the District’s low pension burden and above average debt profile that remains manageable and reflects the District’s ongoing rapid growth. The AAA bond rating has a direct benefit of lowering the interest rate obtained when bonds are sold in the market. A lower interest rate reduces interest payments and provides relief to taxpayers by reducing the overall debt burden.